Stainless Steel Alloy 409 Seamless & Welded Pipe, SS UNS S40900 Pipes, ASTM A268 Stainless Steel TP409 Seamless Pipe, SS 409 Seamless Welded Tubes, SS 409 Welded Pipes, ASTM A312 TP 409 Stainless Steel Seamless Pipes, Manufacturers, Suppliers, Exporters, Mumbai, India. Calico Metal Inc is considered as a superior supplier, stockist and manufacturer of the 409 Seamless and Welded Pipes and Tubes with national and international standards of AMS 5604. We believe in delivering excellence of service and unmatched quality of 409 to our clients from raw materials from excellent suppliers. 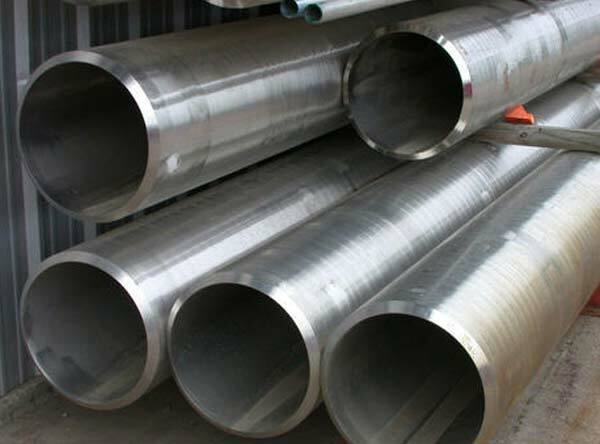 409 Stainless steel Seamless and Welded pipes and tubes offer high strength and hardness along with excellent corrosion resistance on the whole. 409 has been used for a variety of applications including oil field valve parts, chemical process equipment, aircraft fittings, fasteners, pump shafts, nuclear reactor components, gears, paper mill equipment, missile fittings, and jet engine parts and also petrochemical industry. Along with these applications, the 409 is known for not just the strength but also its qualities under heat treatment.